This week, there was momentum for something that rarely happens in the US Senate: agreement that a vote should happen on a contentious issue. For most consequential bills, the most important question is whether there are enough votes to even consider the bill on the floor of the Senate. Generally, close to 60 members of the 100-person Senate need to announce public support before legislation will even be considered. 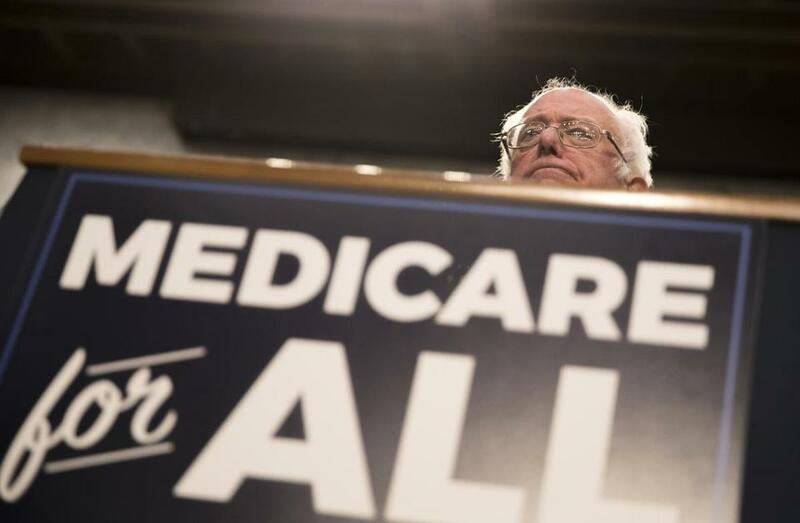 But it seems that nearly everyone in the US Senate wants a vote on a bill introduced this week by Vermont US Senator Bernie Sanders establishing a “Medicare-for-all” system. The measure would mean every American would get health insurance through the federal government instead of private insurers. There isn’t agreement on the policy. In fact, the bill is expected to be defeated easily. But the idea of holding the vote itself is popular because it serves the political purposes of basically every member of the Senate, admittedly for very different reasons. Holding a vote would be a high-profile way to burnish each senator’s political reputation as the 2018 midterm elections approach and before the 2020 presidential election kicks off. In 2018, the hardest challenge for Democrats will be grabbing control of the Senate. For this to happen, the math suggests that all 10 Democratic senators seeking reelection in states Trump won will have to win their respective races. This group of Democratic senators — who come from states such as West Virginia, North Dakota, Indiana, and Missouri — are looking for chances to best demonstrate they are centrists and willing to vote with Republicans. Voting no would be either the conservative position or a position for the status quo of Obamacare. During reelection campaigns, these red state Democrats will face Republican opponents probably eager to call them liberal. If there is a vote on “Medicare-for-all,” these senators will retort that they didn’t vote with liberals on health care. Republicans, hoping to keep their Senate majority, believe it is in their political interest to have the national discussion on an issue that, on paper, continues to be a winner for them. Polls show a “Medicare-for-all” system is gaining support quickly among Americans, but these polls are taken without full knowledge from respondents about the very steep price tag or what this dramatic change in the health care industry would mean to them personally. It’s easy to see how Republicans could paint Sanders’ proposal: as socialist, and as a top Democratic priority. Republicans could do well in the midterm elections by simply having the issue in campaign ads. Then there is the group of progressives who cosponsored the bill, many of whom are considering a run for president in 2020. For Sanders — along with Elizabeth Warren of Massachusetts, Kamala Harris of California, Cory Booker of New Jersey, and Jeff Merkley of Oregon — voting for the bill allows them to play to the progressive base, whose support they will need in the Democratic presidential primary season. It is not often that Senate majority leader Mitch McConnell will agree to put a Democrat-sponsored bill on the floor on the Senate. But on this bill, McConnell will find a way to put it on the calendar, and it will make everyone happy.